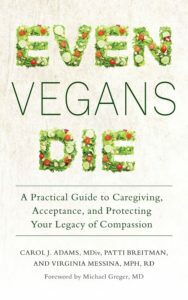 My friend Erik Marcus recently invited me to write an introduction to vegan nutrition for his website vegan.com. In his weekly newsletter, Erik wrote about why he feels so strongly about providing solid nutrition information for vegans. One of the most important and most neglected topics in all of veganism is our high recidivism rate—the percentage of vegans who go back to eating meat. I suspect in many cases, it’s because these people did not read accurate information about how to sensibly plan a vegan diet. There’s just so much misleading information about vegan nutrition out there, much of it passed along by people who have only the best intentions. […] Remember, animal lives aren’t just saved by people going vegan. They’re also saved by people staying vegan. Doing things that will cut the recidivism rate is one of the most important forms of activism. It seems like it never ends — this harmful information in the vegan community. And misinformation regarding vitamin B12 is especially annoying. While a deficiency of this nutrient can be extremely serious, it is also incredibly easy to get enough — but only if you have good information. Which is why I’m especially grateful that a website like vegan.com, which has a large readership, is advocating for safe, evidence-based nutrition information. (For more in depth information about vitamin B12, please see my primer, and of course, the incomparable VeganHealth site. 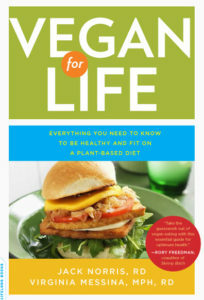 I hope you’ll read and share my comprehensive introduction to vegan nutrition on vegan.com. 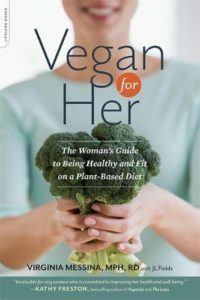 But if you don’t feel like plowing through the whole article, please at least skip to the end where I summarize the most important guidelines for planning healthy vegan diets. Let me know what you think and if you have any questions. I read the guide and was concerned about your comment relative to low fat vegan diets. My question is, “discredited” by whom? The only real systematic research done on vegan diets reversing heart disease are those done by Doctors Dean Ornish and Caldwell Esselstyn. And those are low fat (under 10% and no oils) primarily vegan diets that have been proven to reverse heart disease. Have these somehow been discredited and if so, by whom? Michael, this is a common misconception among vegans. There are no studies showing that a low-fat diet reverses atherosclerosis. The Ornish study used a comprehensive plan with many components including diet, and there is no way to know which of those components was responsible for the outcome. The study doesn’t allow us to say anything about diet and doesn’t show that a low-fat vegan diet has any advantage over a higher-fat vegan diet. And the findings from Dr. Esselstyn’s work come from observations of his own patients. It was not an actual study with a control group and therefore it’s not possible to know what other kinds of factors were involved. Based on the extensive research on the health benefits of different unsaturated fats, it’s very difficult to conclude that low-fat diets would have any particular advantage. In fact, both Drs Ornish and Esselstyn are listed as authors of a new paper that highlights benefits of nuts and oils for heart health. http://www.onlinejacc.org/content/69/9/1172 Most of us who used to promote benefits of low-fat eating are headed in a new direction as we follow the science. So, not everyone in the plant based community is in agreement that low-fat diets are unhealthy. In fact, the only diets that have been capable of demonstrating reversal of coronary artery disease are diets where saturated fat was under 7 percent of calories. Since 14 percent of the calories in Olive Oil are saturated fat calories, it’s very hard to meet the goal of getting saturated fat calories under 7 percent if you are adding tablespoons of Olive Oil to your food. Maybe Dr. Greger and Dr. Esselstyn are on to something? Esselstyn also gave statin drugs to his patients in his study. The Ornish RCT did not study a vegan diet. Low fat dairy and egg whites were consumed by participants. Are you aware of anyone else that has shown reversal of heart disease regardless of how they did it? The only studies I’m aware of that showed any reversal are those that were low fat, no oils and yes, maybe statins, some exercise, and some stress control. It was interesting that the study conclusion was that it was the reduction in blood pressure from the weight loss that caused the regression, not just the weight loss in and of itself. By the way, I agree with your assessment that he health benefits from a vegan diet are often very overstated. Thanks, Michael. And yes, it’s interesting about the blood pressure because I’m pretty sure that I saw some research about benefits of yoga for regression of atherosclerosis. I can’t remember anything about the quality of the study or whether it was even statistically significant, but since yoga may also reduce blood pressure, there is at least a plausible explanation. The more options available to help people, the better! Unfortunately, if it was simply a drop in blood pressure doing the reversal most of us who were given blood pressure medication years before our heart attacks wouldn’t have had them. By the way, if the day comes when you don’t have much to do why not read my 3 star review of The Starch Solution on Amazon. You’ll have to click on “All reviews” since they moved my review from Certified Purchase to other. I guess a sneaky way of hiding the review. It in fact was the top negative review since 2012 when I posted my first review of Dr. John McDougall’s book. Amazon moved the review to the trash bin of those who couldn’t be confirmed to have bought the book this year. I guess there must be a McDougall fan who didn’t care for my latest update. I did updates to the review each year with the difficulties I had with the program including the McDougall website and my opinion of what was happening there. Just to make a point about over promising on health benefits I joked about the claims to heal a broken heart. And of could not all that long ago I had a major heart attack and posted that I had perfect weight, blood pressure, cholesterol, Trigs, LDL, and HDL. I pointed out that there was no such thing as being heart attack proof. I believe what got my review relegated to the trash bin was when I posted that Dr. McDougall ended up collapsing in his bedroom where he fractured two vertebrae, his hip and a spiral fracture of his femur. I pointed out that no one with healthy bone should have suffered that much damage from collapsing in his own bedroom. Dr. McDougall refused to go to the emergency room claiming he was afraid he’d be stented. My guess is his real fear was that he’d be required to submit to ex-rays which would have confirmed very poor bone health which would have leaked as did Atkin’s hospital records. His followers would have dropped out of the program if that had been known. Thanks again for the information and response. Stay healthy! Even if reduced blood pressure was solely responsible for the benefits, it doesn’t mean that everyone who lowered their bp would experience regression. It’s never quite that straightforward with diet and health. But I agree that it’s likely that other factors are at play. And that’s an interesting comment about the bone fractures. I’m working right now on a blog post about bone health. 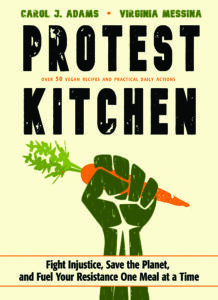 I hear from many vegans (mostly women) who have osteoporosis or who have had bone fractures. Some of the dietary advice on this issue that continues to be popular in certain plant-based groups is pretty outdated and potentially harmful. 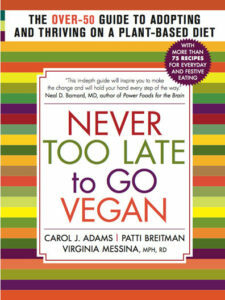 It’s had me thinking a lot about bone health of aging vegans (of which I am one). More on that to come. And I will track down and read your review! Yes, I agree. Somehow folks just never seem to figure out that bone is made from a protein matrix. Remove the matrix and there isn’t anything for the calcium to hang on to. That’s why I believe limiting beans to a absolute maximum of one cup a day and eliminating soy to keep protein right at some minimum in order to minimize IGF-1 as some vegan doctors do is foolish. As I remember the Adventist two study showed that older women who maintained a protein intake of better than .8 gram per kilogram has better bone health and fewer fractures. I also remember a hospital study where they upped the protein intake to 1.2 grams per kilogram in elderly women who already had hip fractures and they healed faster and mortality dropped dramatically. I believe Vitamins C, D, and E plus adequate protein is required for bone health. It’s sort of tough keeping you E up if you aren’t eating nuts and seeds in an effort to keep fat as low as possible. I wasn’t aware that any vegan docs are limiting beans to 1 cup per day. I do know that some are still suggesting that protein contributes to bone loss — despite all evidence to the contrary. You’re right that the evidence now suggests a protective role for protein — both in preventing fractures and in healing them. Dr. McDougall limits beans to one cup per day and he has soured on all soy and therefore recommends against them. Here is his newsletter where he puts the fear of god into anybody who even thinks about going to the emergency room with a serious problem. If he refused to have his bones taken care of after serious fractures it scares the heck out of me what his program followers are thinking when something happens to them. Will they be foolish enough to follow his example? I agree. If he had fallen down a flight of stairs I would have understood, but to faint in your own bedroom and end up with that much damage is very telling about his bone health. His recommendation against too many beans, and soy is really telling. And the fact that he’s against vit D regardless of how far north you live is also a bit short sighted. I’m starting to wonder about the state of his mental health after reading these stories about him. I’d love to see a BMD report on him. He is against vitamin D supplementation? Even for Northerners? Yikes!!! Yeah,they are not very nice when discussing people who disagree with him! Hello! Thanks for being a voice of reason and science in the plant based community that is so loaded with woo woo! I just found your blog a few weeks ago, look forward to learning more. I followed McDougall for a while, but my suspicions have been confirmed that his claims are too good to be true. Another red flag for me is he is against cancer screenings on some of his videos, because he claims his diet would stop the growth of any cancers. Weather, per se, has nothing to do with our ability to synthesize vitamin D from the sun. It is the height of the sun or rather the angle of the sun’s UVB rays penetrating the atmosphere that is key. For much of the year, people that don’t live close to the equator only have a limited number of months where the sun is high enough in the sky to allow its UVB rays (the rays responsible for the synthesis of vitamin D) to penetrate our atmosphere. Where I live in Ottawa, Ontario Canada, we only have about 5 months. The rest of the year the sun is useless in this respect. Vitamin D facilitates the absorption of calcium in your diet. A lack of vitamin D affects your bone health. You know those studies that show dairy-consuming countries have the highest fracture rates? Those countries also tend to be Northern countries. Northern Europe, Canada, Russia, etc. Those countries also have limited sun exposure which would result in vitamin D deficiencies which would lead to poor bone health and higher fracture rates. It’s not the dairy, it’s the geographic location. That’s my take. CORRECTION: I meant “to adequately penetrate our atmosphere in order to allow vitamin D synthesis”. Obviously UVB rays penetrate our atmosphere year round, just not adequate for vitamin D synthesis year round. I just want to point out that it’s possible to exclude extracted plant oils from one’s diet while eating 25% or more of calories from fat. A few sprinkles of hemp seeds, a glob of almond butter and some walnuts- I’ve hit 25% fat while remaining whole foods plant based. Why the false dichotomy between a low fat oil-free diet and an oily vegan diet?! One can easily eat a very high fat diet without adding any oil. I can’t understand the logic of these doctors who treat advanced heart disease patients and then cast these very strict, specific recommendation for all people- including athletes and young women- to avoid or severely limit overt fats like avocados, walnuts, soy. It doesn’t make sense. Really grateful that Ginny has been a voice of reason on the matter. The thing with B12 is that the evidence for deficiency is well documented, as well as the saturated fat problem for arteries. Of course, there are people who eat a lot of saturated fat and have no problems, but there’s also a lot of people that don’t supplement B12 (or at least not mega doses) and don’t develop deficiency. And there’s a lot of people in the middle. And while I do take megadoses of B12 (I’m vegan) I’m not so sure it’s that good for the body (as I’m not so sure about low fat being that good). But the benefits seem to counter the risks. The amount of evidence for saturated fat and artery health is even greater than that of B12 deficiency. The thing about B12 deficiency (nerve damage) and artery damage by cholesterol (and saturated fat) is that the damage is done slowly, in the long run. I don’t think you can have it both ways in favor of B12 supplementation and against low fat.